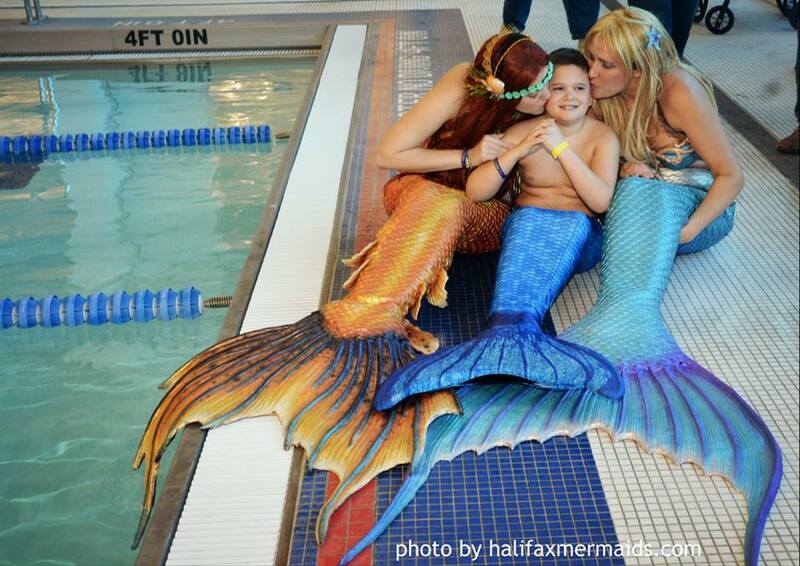 What do you get when you hire the award winning Halifax Mermaids? A team of women with related educational and professional backgrounds, vetted with clear criminal background checks, fully insured, and experienced in working with a whole variety of needs and people. All mermaids have first aid training and applicable safety training. One of our mermaids (mermaid Mimi) even won the Life saving award for saving a boy who was drowning! Our team our industry leaders; one of the first full fledged mermaid businesses in North America, and the first registered business in Canada. Halifax mermaids had one of the first mermaid schools in North America, the first mobile school in Canada, and the first weekly school in Nova Scotia. Owner Raina is also the author of three books and our mermaids have participated in two published studies! For insurance and liability purposes; all children's parties must be private bookings and not held during open or public swims. Packages do not include the price of pool, room, or venue rental. We do our best to accommodate requests for specific mermaids but due to high demand, a surcharge may be added for specific requests. ​Base Package: 1 Hour of Mermaid Swimming ($230+HST) or alternative: 1 hour of entertaining guests in your home. Description: A mermaid will attend the swim portion of your party, teaching party guests tricks, giving rides, playing games, and encouraging them to use their imaginations. Leave a lasting memory with your child, a magical one they will never forget. Max 10 participating guests unless a second mermaid is added. Alternative: Don’t want to swim? Book Mimi for a dry party that includes presentations on nature, the environment, mermaids, crafts with Mimi and more. Subject to availability. Description: Enjoy a special swim with a mermaid, playing games and learning tricks, having mermaid rides and more. Then, retire to the party room to receive mermaid treasures including mermaid hair extensions, mermaid scales, mermaid jewelry, magical mermaid stones, and more. Max 10 participating guests unless a second mermaid is added. IMPORTANT NOTE: If booking this package for a home pool, we require the booking of a lifeguard to ensure safety while learning. Description: Enjoy a special swim with a mermaid and experience what it's like to be one! 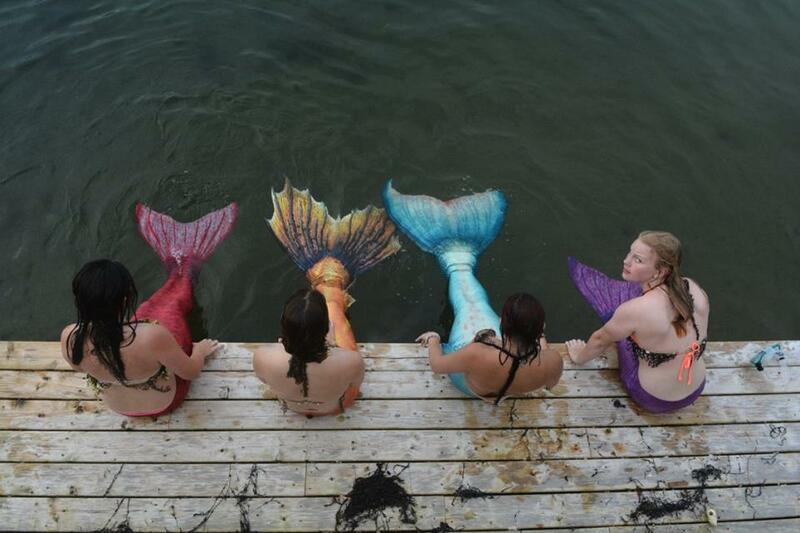 5 guests can be transformed into mermaids or mermen with this package that allows for a RENTAL of our mermaid tails and mermaid fins. One size fits most. 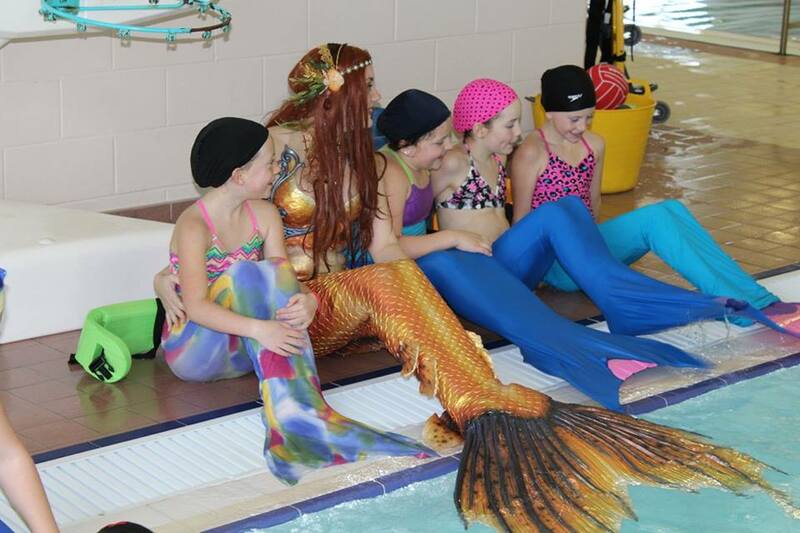 The mermaid will teach your participants how to swim and do tricks in their tail. Note: This booking comes with special stipulations. Please be sure to read the FAQ before you decide to book this event. Description: Enjoy a special swim with a mermaid, playing games and learning tricks, having mermaid rides and more. Then, retire to the party room to receive mermaid treasures including mermaid hair extensions, mermaid scales, mermaid jewelry, magical mermaid stones, and more. Our merwrangler and photographer Sean will take photos of your entire event, special photos with the birthday child, group shots, and one individual photo with every child. Don’t stress yourself out worrying about capturing that special memory- leave it to us! Description: Enjoy a special swim with a mermaid, playing games and learning tricks, having mermaid rides and more. Then, retire to the party room to receive mermaid treasures including mermaid hair extensions, mermaid scales, mermaid jewelry, magical mermaid stones, and more. Our merwrangler and photographer Sean will take photos of your entire event, special photos with the birthday child, group shots, and one individual photo with every child. Don’t stress yourself out worrying about capturing that special memory- leave it to us! Finally, end the party with a special gift for the birthday child from the mermaids. A special mermaid/man crown just like the ones the mermaids wear, a special necklace or bracelet, and a signed photo print of the mermaids! Description: Enjoy a special swim with TWO mermaid, playing games and learning tricks, having mermaid rides and more. Then, retire to the party room to receive mermaid treasures including mermaid hair extensions, mermaid scales, mermaid jewellery, magical mermaid stones, and more. Our merwrangler and photographer Sean will take photos of your entire event, special photos with the birthday child, group shots, and one individual photo with every child. Don’t stress yourself out worrying about capturing that special memory- leave it to us! The mermaids will provide your kids with our underwater gopro and underwater camera to take photos and videos- that will be turned into a music video using their favourite songs! 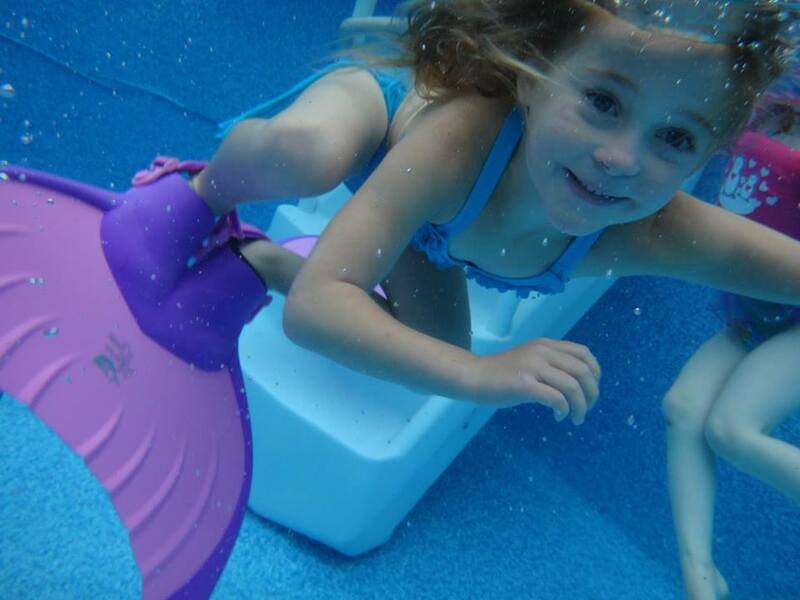 We’ll provide you with mermaid tail and fin rentals that includes 5 mermaid fins for kids to take turns with and 10 fabric tails for kids to take turns with (please see our FAQ on kid’s tails and fins). We’ll also provide you with GIFT BAGS for all the kids! Finally, end the party with a special gift for the birthday child from the mermaids... a Mermaid Linden Monofon by Body Glove in either blue/green or purple/pink One size fits all. 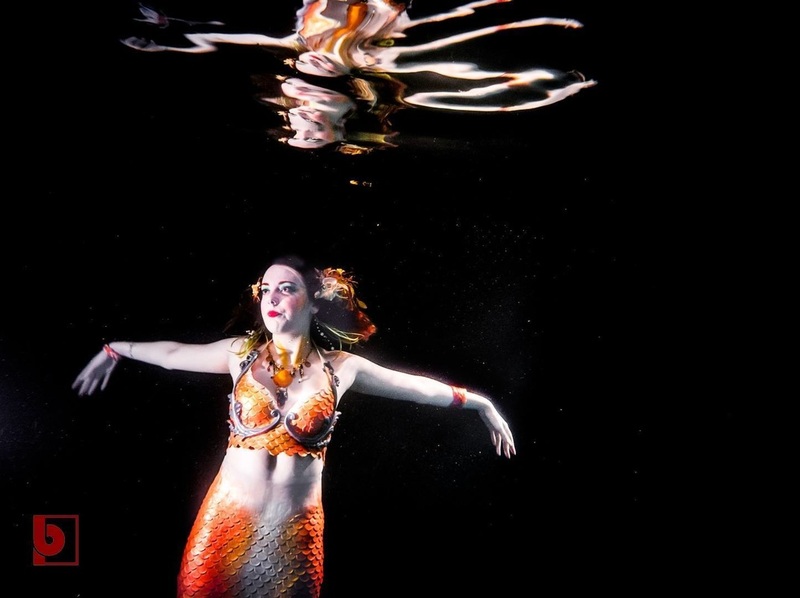 A note about rates: Halifax Mermaids reserves the right to adjust their rates several times a year based on the current market for entertainers, and inflation. This may include a slight increase, or may include sales and discounts. If at any point during your communication with Halifax Mermaids, you observe a rate change, you will only be charged the original rate from the time your communication began. A lot of thought and care is put into our packages, and our rates reflect our efforts, education and experience, insurance, materials, transportation, current market, and inflation.